How do you get your team join in your vision and build an incredible organization that positively impacts those with whom you do business? Building successful virtual teams isn’t easy. But with the right strategies, it is definitely possible. Here are a few “hows”. It all starts with getting that potential team member in the door. In this case, you may not want to just hand out golden tickets… (If you’ve seen Charlie and the Chocolate Factory, you know what I’m talking about.) But, you do want to test people out to see if they are the right fit. This was Wonka’s approach. Bottom line, you need to filter out the crappy candidates and find those who have grit — like Charlie from the movie. Below are couple great resources to get you thinking differently about this vital step in building your virtual team. Watch Angela Lee Duckworth: The key to success? Grit. In the virtual world, it is even more important to find people who have grit. You need to find people who have passion and perseverance. You can teach anyone to do almost any task, but it’s difficult to build grit within your team. Build a system to filter out those who don’t fit your culture. Focus on the cream (not the ice cream, but the cream of the crop.) App Sumo developed a hiring system a few years back. I liked their process. Check it out and you will think differently about hiring the right people and how not to waste time in the process. First, check out our guide to managing virtual teams . This will help you implement the basic management structure for your virtual team. 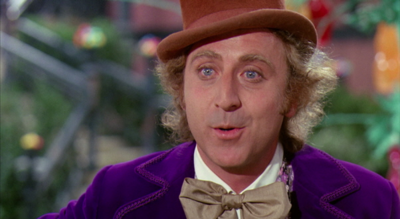 Back to Wonka — one important factor in managing your virtual team is to be sure they know your vision. Mr. Wonka couldn’t have been clearer in how he envisioned the chocolate factory to function. We all know that managing people is likely the most challenging adventure you will experience. Sometimes you just have to use influential skills to move some people in the right direction for your company. A great book on my shelf is Influence by Robert Cialdini. I came across an interview with Mr. Cialdini in the Harvard Business Review. This article would be a great read for those having challenges in designing your virtual team to accomplish a goal. Remember: the “command and control” approach to managing people has proven to be ineffective time and time again. Be there for your team. You have to be available to your virtual team. It can sometimes be isolating to work remotely. Show the love. Encourage informal communications. We all love (or most of us do) to connect with others. Knowing my virtual team colleagues have kids in soccer or love to play golf tells me a little about the them. Do team building exercises. Start contests playing brain games on Lumosity. Play a game of charades for a virtual team building activity. You get the point. Be sure your team understands how you work with customers and the approach to building your widgets. If you have a Zappos culture, everyone on the their team understands that customer service is everything. Be sure to clearly state how you make widgets and how you work with customers when selling those widgets. This goes back to your values -purpose, integrity, intention, commitment, etc. You need to make this clear to your team. First, employee development needs to be a priority. You should dedicate at least 30 minutes a week (if not more) to helping your team grow and learn. Since you are in the virtual world, be sure they are utilizing your project management system effectively. If you are a Teambox user, let us provide you with the training tools through our webinars. Maybe you need to help your team be more efficient with their time. This is tough thing to master. You can put together short exercises or training sessions on how to stay focused, how to manage email, or the best way to use the latest widget upgrade. People want to grow and learn. Help them! You want excellence. Work on your virtual team development strategy.